SHIMIZU S-PULSE vs VEGALTA SENDAI (March, 18th, 2018) LIVE COVERAGE! Full time. A hard-won draw! 90′ Vegalta’s kick direct into Rokutan! 86′ great chance wasted by Vegalta! 85′ great chance wasted by S-Pulse! 84′ Weak shot by Vegalta asily caught by Rokutan. 84′ Shot over the bar by Tese. Kusukami for Duke for S-Pulse. Germain for Abe for Vegalta. 79′ Shot over the bar by Vegalta. 75′ Corner kick for Vegalta. Inconclusive. 73′ Corner kick for Vegalta. 70′ GOAL! ABE finally scores for Vegalta after a scramble inside the box! Nakano for Kobayashi for Vegalta. Anoher corner kick for Vegalta. 67′ Corner kick for Vegalta. 65′ Corner kick for Vegalta. Chong Tese for Kitagawa. 62′ Corner kick for Vegalta. Inconclusive. 60′ Free kick for Vegalta 35 meters from goal somehow repulsed. Nishimura for Tomita for Vegalta. 57′ Two very dangerous crossses by S-Pulse! 53′ Very dangerous cross by S-Pulse somehow repulsed! 51′ Dangerous kick by Vegalta floating acros box! 47′ Free kick for Vegalta in front of box. Super save by Rokutan! 45′ Kick off by S-Pulse. Vegalta had most of the possession but sorely missed a striker. S-Pulse made the most of the few occasions they had and could have led by a heavier score. The second half promises to be lively! 45+1′ Corner kick for S-Pulse. 44′ Corner kick for Vegalta. Inconclusive. 42′ Free kick for Vegalta. Inconclusive. 38′ Corner kick for Vegalta. Inconclusive. 35′ Dangerous action by Vegalta which is dominating! 33′ Great action by S-Pulse ending in corner kick! Dangerous heading past left post! 25. Dangerous counter by S-Pulse ended by Crislan’s shot over the bar! 22′ Dangerous free kick for Vegalta just outside right side of box. Inconclusive. Followed by dangerous counter by S-Pulse! 16′ Shimizu S-Pulse wastes 4 consecutive chances! 12′ Corner for Vegalta. Inconclusive. 9′ GOAL! Fantastic goal by KANEKO with a 25 meter long range shot inside the right top of the goal! 7′ S-Pulse a bit clumsy. Shimizu S-Pulse is hosting Vegalta Sendai this afternoon for the 4th match of the 2018 J1 League! This match will pit the best attack so far (7 goals in 3 Matches for Shimizu S-Pulse) against the best defense so far (1 goal conceded in 3 games for Vegalta Sendai) of the League. 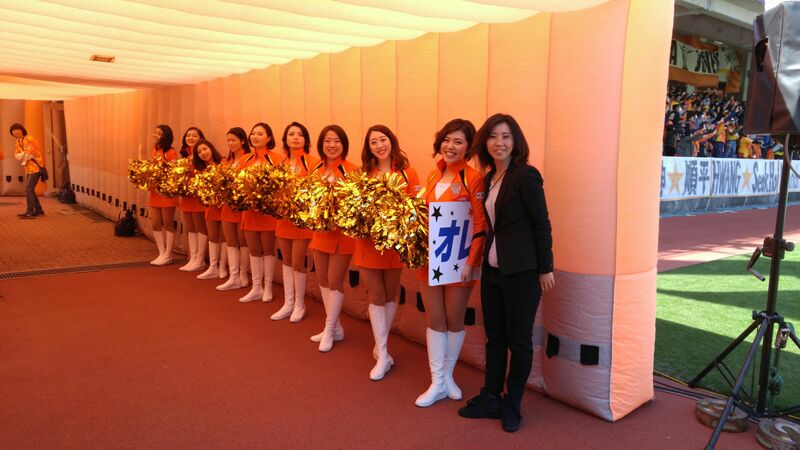 Shimizu S-Pulse will be keen to prove they are a changed team in front of a packed stadium! Previous PostShizuoka Gastronomy on Manhole Covers!Next PostSHIMIZU S-PULSE vs YOKOHAMA F MARINOS (March, 31st, 2018) LIVE COVERAGE!